It’s the peak of the vacation period, but we still hope you are there to pick up our Opera developer we are releasing today. Well, well… what do we have here? 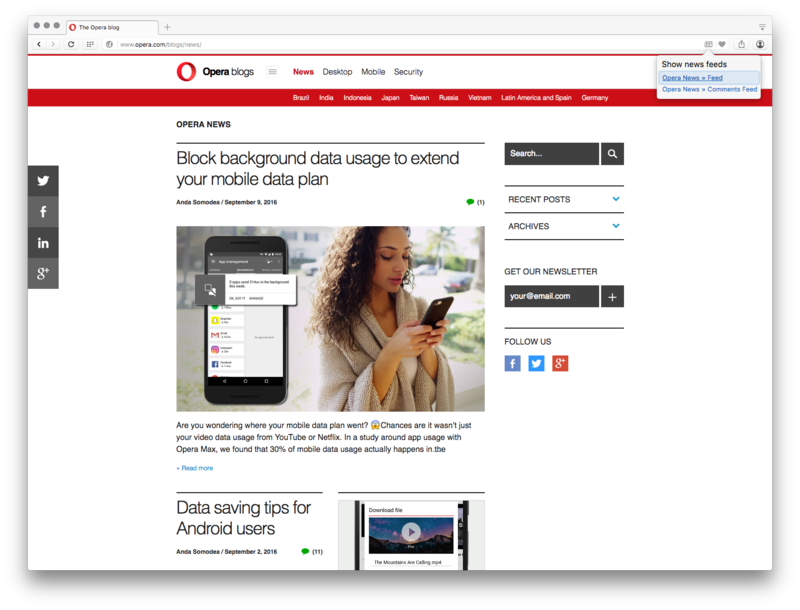 Today’s Opera developer release contains major redesign of the power saver feature, including both the workflow and the user interface. The new version should be more intuitive and easier to use for both the regular users and the power users. 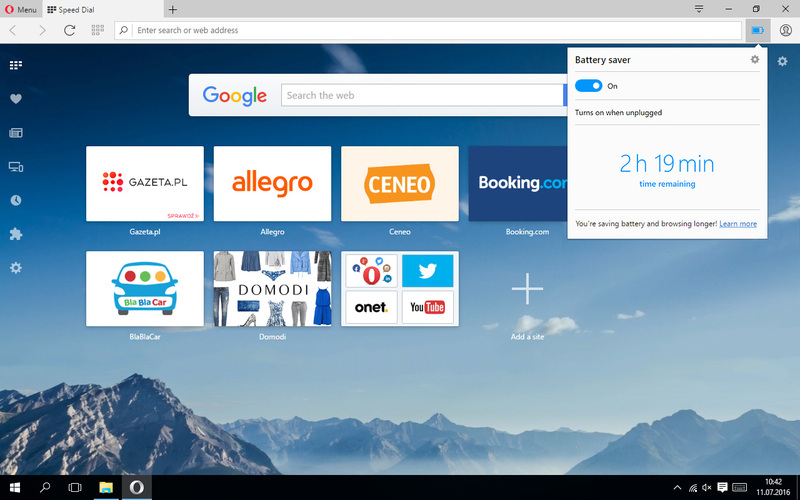 Regular users will get the power saving mode working automatically based on Hints’ selections. Also, they have easy access to the mode using the Battery icon placed in the toolbar. Power users can manually change how the power saving mode works for them in the Preferences/Settings (including the possibility to disable the mode completely). – The character limit has been lifted, and now you can use very long URLs. 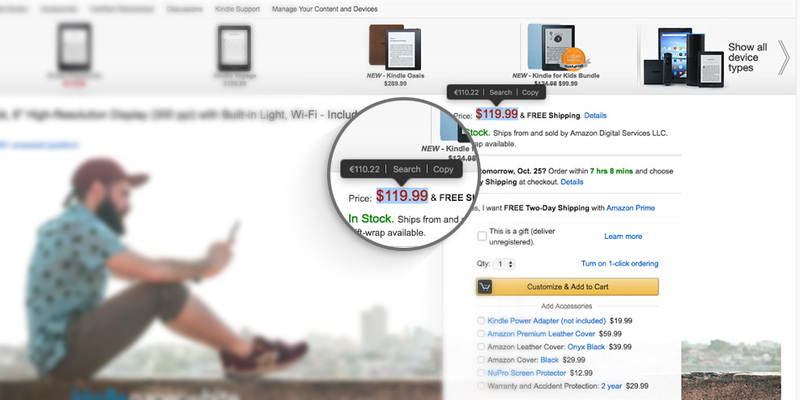 – The button “Remove from My Sources” is available for RSSes. – The RSS title is shown instead of URL. 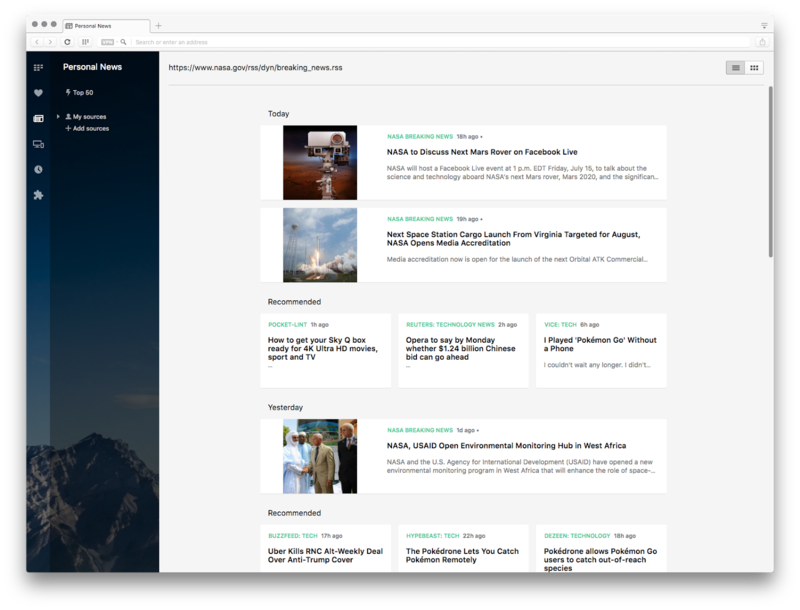 – The RSS feed is aligned correctly to the timeline. Please let us know in the comments whether it works for you now. Any ideas are also welcome! Chromium has been updated to 53.0.2785.8. For details, please take a look at the changelog. – In the RSS reader, “My sources” are not added from the setup dialog. We’re working on that. – We have an issue with the Windows x64 release again. Sincere apologies.